Deputy Chief Flight Operations Inspector (Aeroplane):- 10+2 with Physics and Mathematics as subjects from a recognized board. Should have an Airline Transport Pilot’s License issued by DGCA, India with current Pilot-in-Command rating on civil air transport aircraft. Total experience of not less than 6,500 hours and not less than 5,000 hours as Pilot-in-Command on au transport aircraft. Should have held the qualification of an examiner approved by Directorate General of Civil Aviation on civil air transport aircraft or qualified flight instructor rating in Category A from Defence Services. Accident-free record for last 5 years attributable to his proficiency. Senior Flight Operations Inspector (Aeroplane):- 10+2 with Physics and Mathematics as subjects from a recognized board. Should have an Airline Transport Pilot’s License issued by DGCA India with current Pilot-in-Command rating on civil air transport aircraft. Total experience of not less than 6,000 hours and not less than 4,000 hours as Pilot-in-Command on air transport aircraft. Accident-free record for last 5 years attributable to his proficiency. Fight Operations Inspector (Aeroplane):- 10+2 with Mathematics as recognized board. Physics and subjects from. Should have an Airline Transport Pilot’s License issued by DGCA India with current Pilot-in-Command rating on civil air transport aircraft. Total experience of not less than 5,000 hours and not less than 2,000 hours as Pilot-in-Command on air transport Aircraft. Accident-free record for last 5 years attributable to his proficiency. Senior Flight Operations Inspector (Helicopter):- 10+2 with Physics and Mathematics as subjects from a recognized board. Should have a Commercial Pilot’s Licence (Helicopter) issued by Directorate General of Civil Aviation India with current Pilot-in Command rating. total experience of not less than 3500 hours, out of which not less than 1750 hours. as Pilot-in command on helicopters and Accident-free record for last 5 years attributable to his proficiency. Flight Operations Inspector (Helicopter):- 10+2 with Physics and Mathematics as subjects from a recognized board. Should have a Commercial Pilot’s Licence (Helicopter) issued by Directorate General of Civil Aviation India with current Pilot-in Command rating. total experience of not less than 3000 hours, out of which not less than 1500 hours as Pilot-in command on helicopters and Accident-free record for last 5 years attributable to his proficiency. 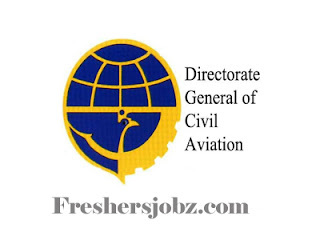 The applications in the prescribed proforma from the eligible and interested candidates are invited which should reach the Recruitment Cell, A-Block, Directorate General of Civil Aviation, Opposite Safdarjung Airport, New Delhi-110 003 with NO OBJECTION CERTIFICATE from present employer, if any latest by May 10111 , 2019 (1500 Hrs.) (applications received after the closing date or otherwise found incomplete will not be considered). The officers should ensure that the up-to-date photocopies of Annual Performance Appraisal Reports for the last five years, a certificate from the employer(s) indicating accident free record for last 5 years attributable to his proficiency, along with Integrity Certificate, Vigilance Clearance and a statement of major/minor penalty, imposed if any, during preceding last 5 years be sent by the present employer(s), if applicable.